2425 Arlington Crescent, Birmingham, AL.| MLS# 820755 | Richard Jacks UABLIVING.com 205-910-2297 | Birmingham AL Real Estate | Contact us to request more information about our Homes for Sale in the Birmingham AL area. An impressive home built in 1920 which retains a wealth of character and original charm thru-out. A wonderful location, a great family home, and ideal for entertaining. The generous sq footage is laid out over two floors, flows very well & can be flexible to buyers taste.This home is located within walking distance to English Village & all of restaurants in Highland area. Beautiful porch across front. Large LR and formal DR, bright kitchen, laundry rm, & full bath on the main level. Upstairs is large master, 2 additional generously sized bedrooms, full bath, sun room & AWESOME VIEWS. Basement area for storage or working space. There is a convenient rear entrance with 2 car garages that is accessed from the alley way. Seller has installed 4 zoned HVAC units on main level. Upstairs has central HVAC. 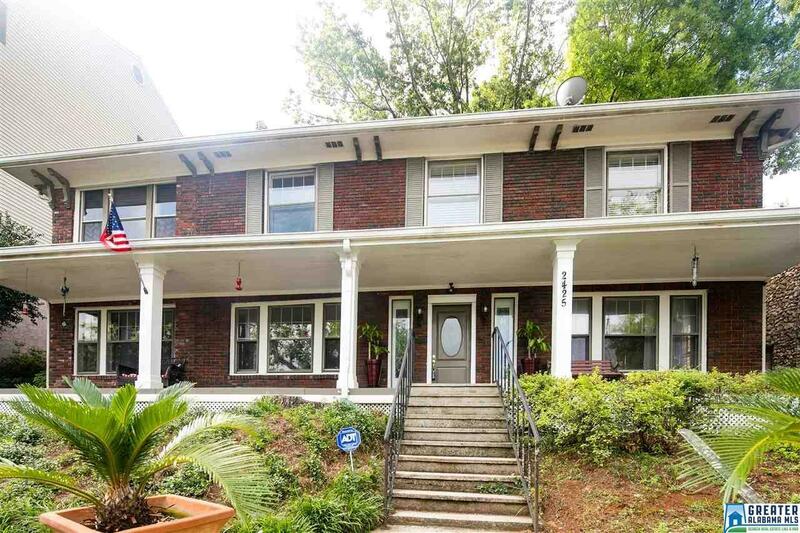 This beauty is a must see if you are looking for space and charm in the Redmont Park neighborhood. Over 2700 sq ft per last appraisal. Driving Directions: From Highland Ave. Take Arlington Ave., Right Onto Arlington Crescent, Home Will Be On The Left.